"I moved to New York City because of people like this. I wanted to be around the art crowd and the weirdos and the freaks...and here was a full-on book of them. I was like, where do I sign up? I wanted in." 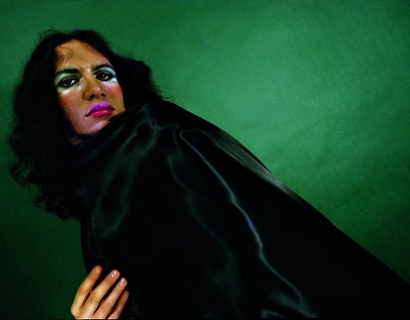 Steven Kasher Gallery is pleased to present Gilles Larrain: Idols featuring 35 never before exhibited large-scale photographs of New York’s most wildly colorful, often scandalous denizens of style that he shot during the revolutionary early 1970s. 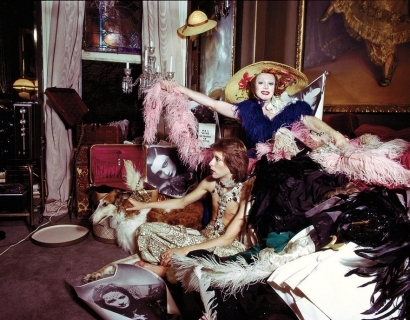 Larrain’s now legendary SoHo studio became a haven for the glamorous misfits who were exploring their sexual identity and re-creating the city’s night life. Through Larrain’s vision and friendship with his models, the lush photographs capture the soul and emotion beneath the surface of the Halloween glamour of the transvestite world. Larrain probed beneath the glitter and posturing to expose joy and unbridled excitement, but also the desperation and vulnerability during that revolutionary time. The exhibition, Idols, is an authentic compendium of 1970s New York style and attitude. It began with an awestruck Larrain visiting Max's Kansas City in the explosively liberating early years of the gay rights movement, then initiating his own wild salons where friends came to play music, dress up and fantasize. 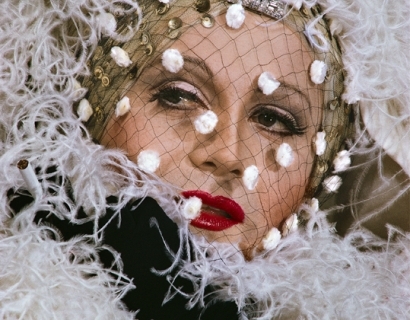 The images, originally published in the book Idols in 1973, captured the individuals who transformed the era. Original copies of the book are coveted collectors items; a new edition by powerHouse will be launched simultaneously with this exhibition. Born in Vietnam in 1938, Gilles Larrain began an atypical life moving to Chile, Argentina, Canada, France, and the USA, all before the age of 16. He would have to learn many languages, and integrate into each new world. Gilles Larrain honed his craft studying at l'École Nationale Supérieure des Beaux-Arts, Paris and MIT, Boston. Gilles Larrain has since worked with artists in a wide range of creative disciplines, including the American Ballet Theatre, Mikhail Baryshnikov, Salvador Dali, Miles Davis, Sting, Billy Joel, Roberto Rossellini, Norman Mailer, and many more. 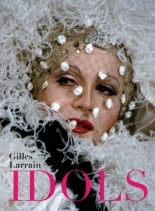 Gilles Larrain: Idols will be on view from November 2 - December 23, 2011. Steven Kasher Gallery is located at 521 W. 23rd St., New York, NY 10011. Gallery hours are Tuesday through Saturday, 11 am to 6 pm.